From its seductively long hood to its steeply raked windshield and wide rear haunches, the F-type is a stunner. Offered as both a coupe and a convertible, it gets a snarling 3.0-liter supercharged V-6 pumping out 340 hp to the rear wheels through a six-speed manual or eight-speed automatic. Racier S models get a boost to 380 hp and offer all-wheel drive with the automatic. Suspension tuning is firm, and the F-type is always eager to play, but the cost is an often harsh ride over bumpy roads. Introduced in 2013 as a 2014 model, the F-type is arguably Jaguar’s first real sports car—as distinct from a grand tourer—since the E type seduced attendees at the Geneva motor show in 1961. Offered in hatchback coupe and convertible editions, the F-type boasts exceptional rigidity with an aluminum-intensive chassis, an accomplishment by the engineering and development team that necessitates little compensatory bracing for the open-top version. The designers created a head-turning exterior that makes the F-type a contender for best-looking ride in a class populated with several beauty queens. Propulsion comes from one of two supercharged engines, a 3.0-liter V-6 and a 5.0-liter V-8. Both the six and the eight are offered in two states of tune, with outputs ranging from 340 to 575 horsepower. A six-speed manual is available with the V-6, and a rapid-shifting eight-speed automatic is optional with the V-6, standard with the V-8. All-wheel drive is available on higher V-6 trim levels and standard with the V-8. The combination of high chassis rigidity, firm suspension tuning, and exemplary powertrains position this hottest of Jaguars on a par with the best in a distinguished class. Add competitive pricing, and the Jaguar F-type makes a compelling case as a world-class sports car with a British accent. 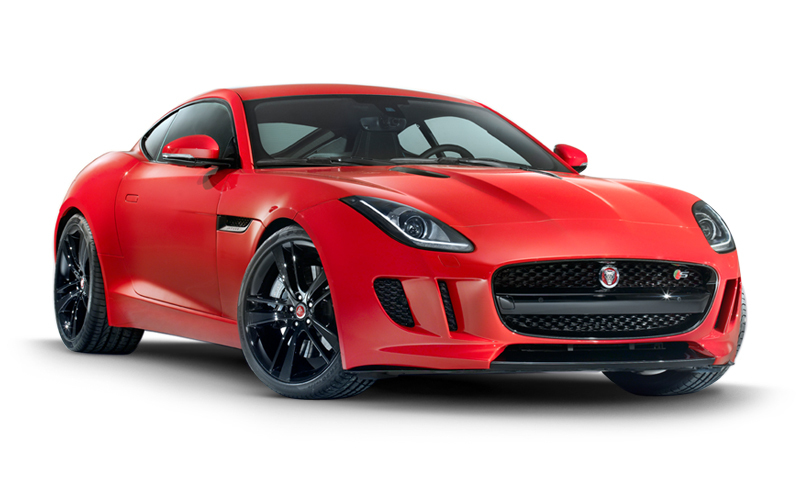 What’s New: Expanding the F-type lineup at both ends for 2017, Jaguar enhance affordability with a $3200 lower price on the base F-type, which costs $62,395; the new Premium trim level adds $5400 and some features that were stripped out of the base car during the pricing discount. Bigger news, however, is the new F type SVR, which raises output of the F-type R’s 5.0-liter supercharged V-8 to 575 horsepower, the price to $126,945, and top-speed potential to 200 mph, making this the hottest street Jaguar ever. Jaguar has also managed to expand luggage space slightly in F-type convertibles to just over seven cubic feet from, uh, just under seven cubic feet.